On 1st February 2018, our Finance Minister Shri Arun Jaitley presented the Union Budget 2018 that is for the financial year 2018-19 at the Parliament. The expectations of the citizens were quite high since this was the last Budget of the current tenure of NDA Government. In the past two years, the current government has taken two of the biggest financial decisions – Demonetisation and implementing GST, hence we were expecting a rather more dramatic Budget this year. The middle-class population was expecting a hike in basic tax exemption limit and increase in the tax slabs. The expectations from the ministry were to hike the basic tax exemption limit from the existing Rs 2.5 lakh to at least Rs 3 lakh per annum. Some had expected an increase in the limit a deduction under section 80C (existing limit was Rs 1.5 lacs) as well as an increase in the limit of deduction under section 80D which is given for medical reimbursements. In his speech, the Finance Minister said that attempts to implement a cashless economy have given a good return to the government. He said that the growth rate of direct tax in the financial year 2016-17 & 2017-18 have been significant. The growth of direct tax in the year 2016-17 was 12.6%, and for the year 2017-18 (up to 15th January 2018) is 18.7%. According to him, the additional revenue collected in the last 2 financial years from personal income tax is a result of strong anti-evasion measures taken by the government. He also said that there has been a significant increase in the number of returns filed by taxpayers. The number of taxpayers has increased from 6.47 crores at the beginning of the year 2014-15 to 8.27 crores at the end of 2016-17. 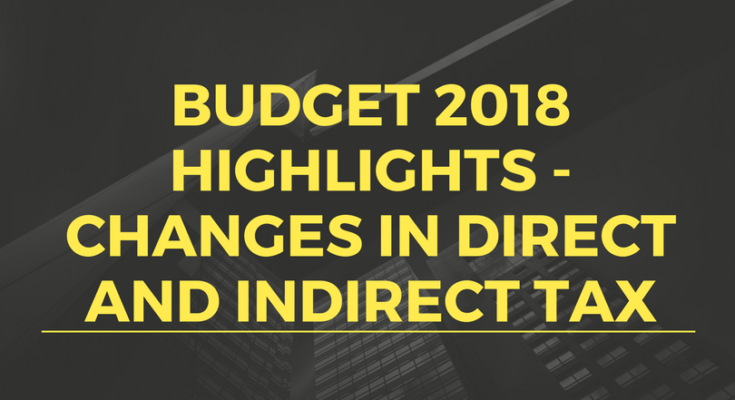 The Budget 2018 seeks to provide relief to the salaried taxpayers by allowing a Standard Deduction of Rs. 40,000 in place of the present exemption allowed for transport allowance (which is a maximum of Rs1600 per month i.e. Rs 19,200 annually) and reimbursement of miscellaneous medical expenses (which is a maximum of Rs 15,000 annually). Thus, the net increase in the deduction of a salaried employee who is availing the current maximum deduction of Transport Allowance and reimbursement of medical expenses will be Rs 5800 (Rs 40000 – Rs 34,200). However, the transport allowance is proposed to be continued for differently abled persons (at already existing enhanced rate Rs 3200 per month). This proposed Standard Deduction of Rs 40,000 will help middle-class employees in reducing their tax liabilities. Also, it will significantly benefit the pensioners, who do not get any allowance for transport and medical expenses. 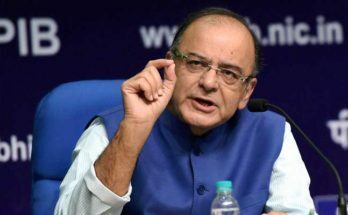 Mr. Arun Jaitley said that 2.5 crore salaried employees and pensioners would be benefitted from this amendment and the revenue cost to the government would be approximately Rs. 8,000 crore. 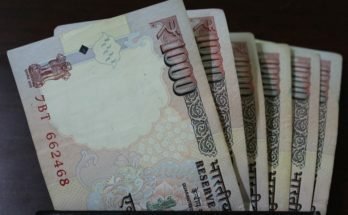 The Interest income from deposits with banks and post offices has been proposed to be increased from Rs 10,000 to Rs 50,000. TDS will not be required to be deducted under section 194A. This benefit will also be available for interest income earned from all fixed & recurring deposit schemes. There has been an increase in the limit of deduction for health insurance premium and or medical expenditure for Senior Citizens/ Very Senior Citizens from Rs 30,000 to Rs. 50,000 under section 80D. Also, the deduction limit for medical expenses for certain critical illness has been increased from Rs 60,000 (in case of senior citizens) and Rs 80,000 (in case of very senior citizens) to Rs 1 lakh for all senior/very senior citizens, under section 80DDB. These concessions will give extra tax benefit of approximately Rs. 4,000 crore to senior citizen. Further, there has been an extension of the Pradhan Mantri Vaya Vandana Yojana up to March 2020. The current investment limit has also been increased to Rs. 15 lakh from the existing limit of Rs. 7.5 lakh per senior citizen in the proposed budget 2018. 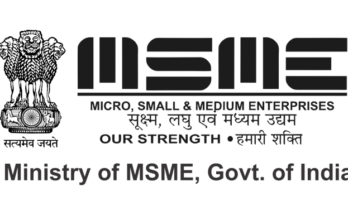 The Finance Minister said that around Rs 3,76,000 crores were exempted as capital gains on sales of listed equity shares in the year 2016-17 (as per returns filed for A.Y. 2017-18). He said that most parts of this gain were accrued to corporates and LLPs only. Due to this reason, Mr. Arun Jaitley has proposed to tax Long-Term Capital Gains exceeding Rs 1 lakh on the sale of listed shares at the rate of 10 percent, without allowing any indexation benefit. It is estimated that this proposed change in Capital Gains Tax will bring in a marginal revenue gain of about Rs 20,000 crore in the first year. The Budget 2018 has proposed to introduce a new cess in order to provide education and health care benefits to the people who are below poverty line. This new cess will be called the “Health and Education Cess”. This will thereby increase the cess on Personal Income Tax and Corporate Tax to 4% from the present 3%. It is expected to increase the tax collection by an estimated amount of Rs. 11,000 crore. This was the first budget after the rollout of the Goods and Services Tax (GST), and there has been no major change in the GST law. The changes are majorly for Customs Tax only. The Budget 2018 has increased the Customs Duty on mobile phones from 15% to 20%. Customs Duty on raw cashew has been reduced from 5%to 2.5%, in order to help the cashew processing industry. Further, the Education Cess (EC) and Secondary and Higher Education Cess (SHEC) on imported goods are also being abolished. Instead, it is proposed to impose a Social Welfare Surcharge @10% of the aggregate duties of Customs on imported goods. This will provide revenue for social welfare schemes of the government.